In this week's Metals and Market Wrap interview we sit down with the bullion industry's most popular free annaul report creator, Mr. Ronald Stoeferle. 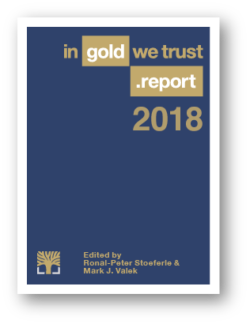 The 'In GOLD We TRUST' Report 2018 is another jam packed anaysis of all things bullion related. Come hear our discussion on some of the KEY charts in this year's free report. And pick up a copy for yourselvs and for those you care about. Learn more about the Cayman Island Offshore Bullion Storage now available through SD Bullion and Loomis International. You can download Ronnie's In Gold We Trust Report 2018 versions below. Quick market update on where bullion spot prices are today Friday, June 19th 2018 at 4 o'clock eastern time. Spot prices for all metals have been dropping over the past few weeks and particularly in silver we are reaching a pretty significant resistance level of $16 to $15.50 oz. In the last 2 years, these downward silver spot price levels have been breached on 3 occasions, and price rebounds were fast. 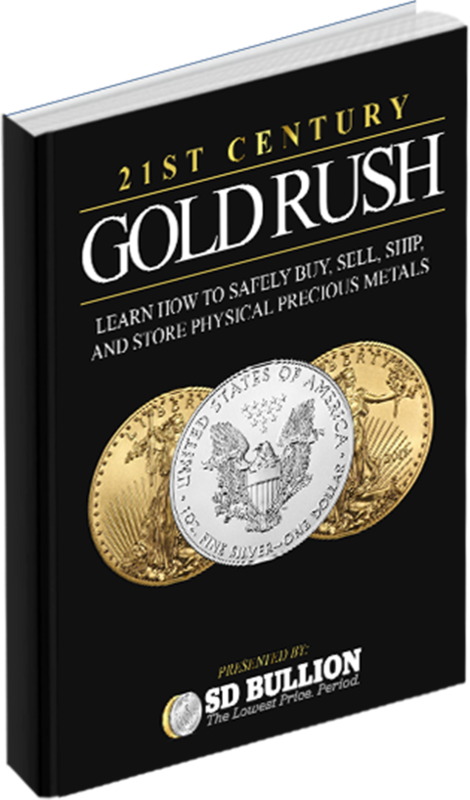 So just a heads up for those dollar cost averaging their bullion buying, increasing your stacks.